2013 ends with a BAM! It was a good year for Angelique. 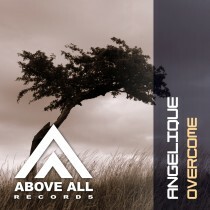 Gigs with Aly&Fila, Orjan Nilsen, Andrew Rayel, Beat Service and several releases that gained good support “Overcome” will be the finishing touch for 2013. Prepare yourself for a smashingBigroom Trance track, filled with energy! Supported by Giuseppe Ottaviani, Bjorn Akesson, Mark Sherry, 4 Strings and many more!